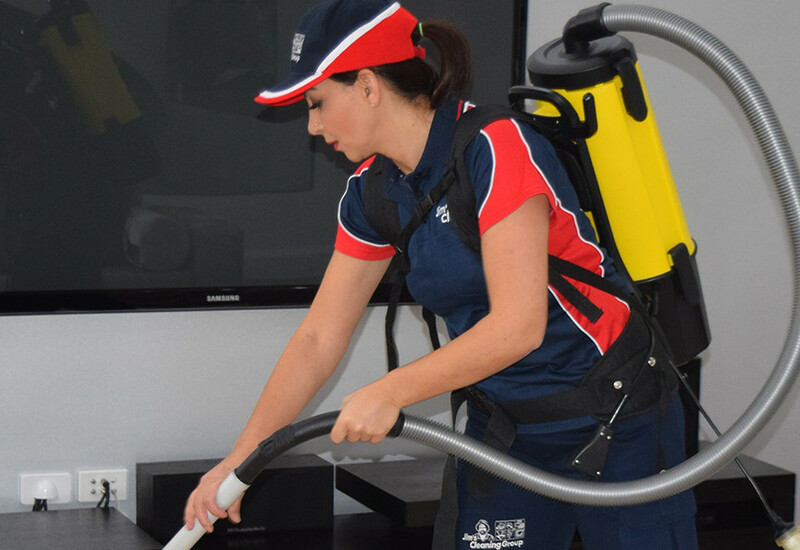 Jim’s Cleaning can organise regular or periodic cleaning of your premises at a pre-arranged price. Jim’s Cleaning Services provides flexible, top-quality and consistent office cleaning for all types of businesses. Whatever your business type, from offices, hospitality through to retail, we can offer a cleaning service tailored to your business needs. Whether you want cleaning done during business hours, before or after business hours or even on the weekend, we can ensure your business is never affected. Jim’s Cleaning Group has an excellent reputation in the professional servicing of commercial properties. We offer businesses peace of mind – with $10 million insurance coverage plus guaranteed satisfaction and the backup of a national office committed to customer service. However, you will not be dealing with a large, faceless organisation when you use Jim’s Cleaning! As locally based franchisees, we value our local clientele above all else, and in return always choose to support local businesses. Professional service: Each franchisee is professionally trained and will always do a quality job. We also supply and use all of our own cleaning equipment. Reliability: We turn up on time every time! If we are running late than we will always call you in advance. Security: Our franchisees are fully insured & police checked for your security and safety. Price: We offer a great service for a fair price.